Working with local First Nations personnel – riparian planting. 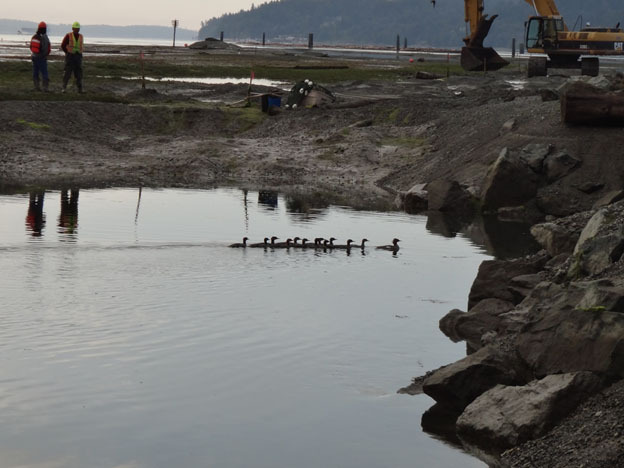 Construction of embayments in estuarine habitat to improve species diversity. 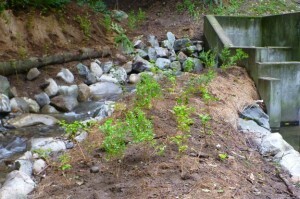 AquaTerra Environmental offers design, management, and implementation (construction, monitoring and planting) services for habitat enhancement, compensation, restoration and reclamation projects (inclusive of planting teams, native plants, soil/fertilizer and machinery [i.e., excavators], as required). These types of projects are often a component of funded habitat improvement projects, municipal reclamation projects, and species-at-risk habitat restoration projects. 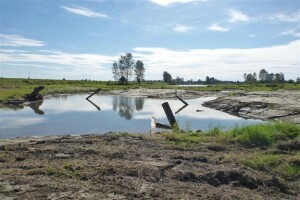 Moreover, Fisheries and Oceans Canada (DFO) may periodically request fish habitat compensation to offset unavoidable impacts incurred as a result of a project. 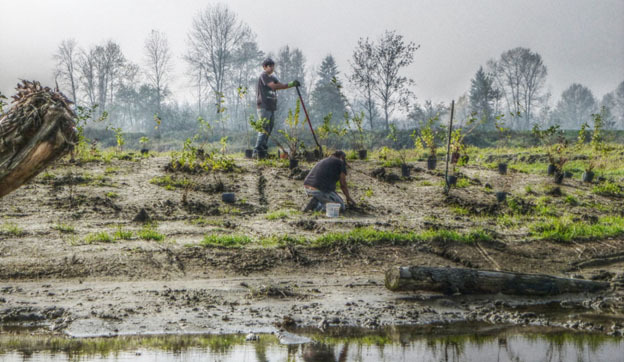 Planting prescriptions and implementation for development projects to offset impacts and to meet development permit conditions. Estuarine / marine habitat enhancement.